On Saturday 7th November, around 35 Instragrammers and photographers gathered under the Pipalbot Chautari in Patan Dhoka, for Kathmandu’s first official Instameet session. The gathering organized by Nepal Photo Project’s Sumit Dayal and Tara Bedi in association with Photo Kathmandu, included Teru Kuwayama, Photo Community Manager at Instagram. 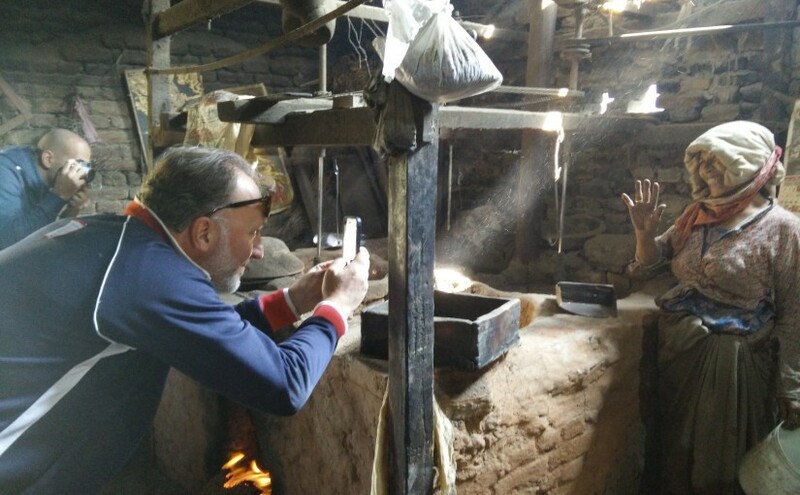 Teru who studies how communities around the world engage with Instagram as a photographic medium, must have struck gold hanging around Patan with young photographers. Other famous personalities in the session were Ruddy Roye, a Brooklyn based documentary photographer; Surendra Lawati, a Nepali-Canadian photograher whose work is being exhibited in Image Ark; and Micha Bruinvels, a photographer from World Press Photo. The event started at 9:30 AM with the theme of ‘Levitation’. After taking a group photograph, the participants immediately dismissed to different directions in Patan, interpreting the theme in multiple ways. I followed the group led by Lawati and Bruvelins to see how these two photographers would levitate their images. Apparently this included, observing life in the visages of a slaughterhouse, cramming into a barber shop to play with the duplicity of reflections, and hopping into a beaten-rice mill to admire the levitating laughter of the didis working there. After a nice warm walk searching for inspirations, at 12:00 PM the participants gathered at Swotha to post and email their photographs to the Nepal Photo Project’s live stream. Later in the evening, the curatorial team of Sumit Dayal and Tara Bedi posted the selected images in a pop-up exhibition in Patan Dhoka. The idea was to allow this bare wall, opposite the Nepal Photo Project exhibition, emulate Instagram’s live feed that most smart-phone users these days are hooked too.